Kristin Stewart graces the cover of their 40th anniversary issue, and we have to say, that the spread on her is completely flawless. We know their are alot of Kristin Stewart haters out her, but we have been drawn to her since way before all of the Twilight hoopla. We think she was a perfect pick for such an important issue of the mag. To celebrate their 40th, Interview has put some amazingly interesting pictures on their homepage, chronicling what they call "four decades of glamour, decadence, beauty, bombast, andstar-tripping, scene-making,world-changing bacchanalia." Check it out. Happy anniversary Interview! What would we do without you? We saw this line in Nylon's September issue and on knighttcat a few days ago. We quickly fell in love with the self proclaimed "beach meets grunge" line. This line is based out of Melbourne and is quickly becoming a hit in The US. We are currently trying to convince our favorite store owners to buy the line, so we can have it in LA. We are dying over the girly meets tough girl vibe. Check out the line here. Thanks knighttcat for the heads up. We are very excited to be taking part in a fashion show this Sunday that is being put on by Pura Vida So Cal. The show will be raising money for the Westside Center for Independent Living (you can get more info on them here). Tickets are $20 at the door and all of the proceeds go to WCIL. There will be a silent auction, drink specials, and goodie bags. Come out for some amazing clothes, a good time and a great cause. When one of our favorite designers, Keemia, introduced her Spring 2010 line, we were absolutely speechless. She has completely outdone her past seasons, and we were literally drooling over some of her impeccable dresses. We quickly realized that we were mostly drawn to the pieces that included ostrich feathers. She made an amazing ostrich feathered skirt (in black and white) and an incredible dress (shown above on model) with an ostrich feather bottom. Once we calmed down from seeing her new stuff, we quickly realized that some of the best trends for spring include ostrich feathers. We are trying to gauge how many pieces with ostrich feathers are acceptable to own for one season....thoughts? Sidenote: Obtaining ostrich feathers does not harm the ostriches! Our love for Scott Schuman (The Sartorialist) is no secret, and neither is our love for candid photos of stylish outfits. Thus we were thrilled to finally see Burberry's art of the trench. We knew that Schuman was doing a collaboration with Burberry that involved trenches and now we finally get to see the finished product. Burberry launched the site Art of the Trench that includes a history (with pictures) of the Burberry trench coat and allows users to submit their own favorite photos of this famous coat. This venture is just one more sign that companies are attempting to draw in customers by partnering with high profile bloggers and/or photographers. Remember Style.com's collaboration with Tommy Ton and their piece with Alexa from 4th and Bleeker? We think these companies are right on with these tactics. They definitely are getting our attention. We love to shop (obviously), but we love it even more when it is for a good cause. Our friends at Pura Vida So Cal are putting on this event tonight in Manhattan Beach at The Michael Stars store benefiting, Clothes the Deal. If you are in the area check it out. Who can pass up free wine, appetizers and swag bags? There is one trend this fall that keeps drawing us in, the use of textures on shoes, bags, and clothing is currently fascinating us. We can't get enough of embellishments, the use of zippers without an ounce of functionality, studs on shoes, grommets on dresses and spikes on leather. Here are a few pictures in which the use of texture truly makes the piece. We also must recognize that this new obsession with textures has come mainly from Tommy Ton's photos. He has the most amazing attention to detail, and without him, many of these details would go unnoticed. pictures: left: The Sartorialist, middle and lower left: Tommy Ton of Jak and Jil, upper right: tfs. We were just going through some of our old emails, some saved pictures, blurbs, and videos that have inspired us this fall. We are trying to piece together our favorite trends, so we started looking back through the past few months to see what has really grabbed our attention. We came across this video and we can't believe we didn't post it at the time. This video sheds a bit of light on Erin and Alex's collaboration and what goes on behind the scenes with these crazy two. We found it pretty inspiring, and it made us love both of them even more. We can't believe we didn't hear about the launch of this game sooner (since Nintendo did some crazy marketing at NY Fashion Week) and we also are wondering what it would have been like to have this as a little girl. 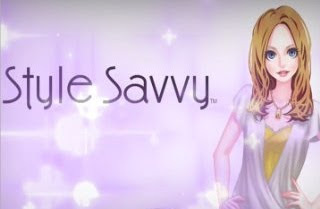 Style Savvy is the new game for Nintendo DS, and for those who aren't Nintendo savvy, that is the handheld version. This game allows you to act as a boutique owner, manage inventory, and interact with customers. The customers have different personalities, so dealing with them is as realistic as possible. You are also able to choose from 16 different lines and over 10,000 options for inventory. We think this game sounds like fun, and probably teaches some retail basics in the meantime. We may just have to find one to play ourselves. Thanks to Fashionista for opening our eyes to this one.